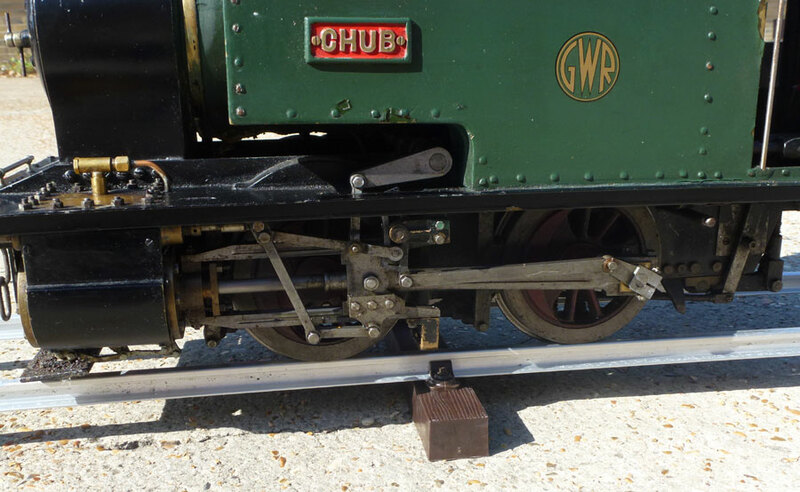 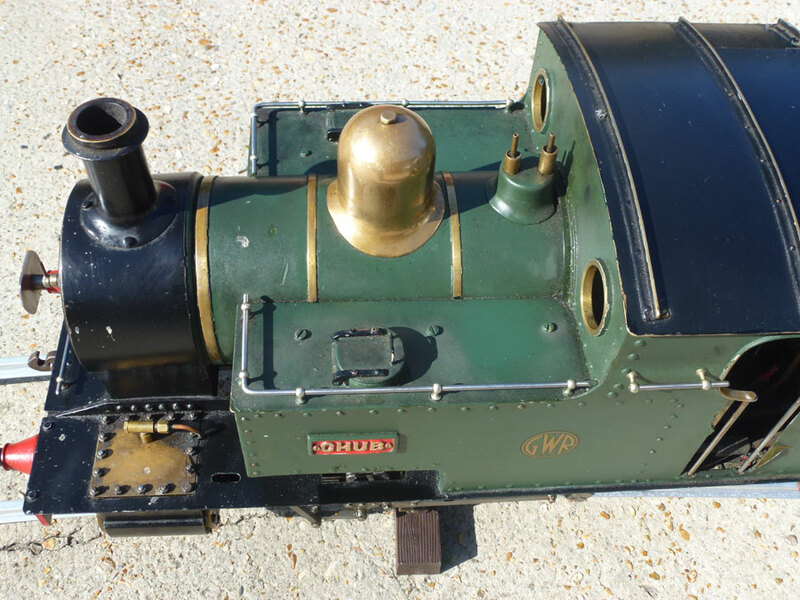 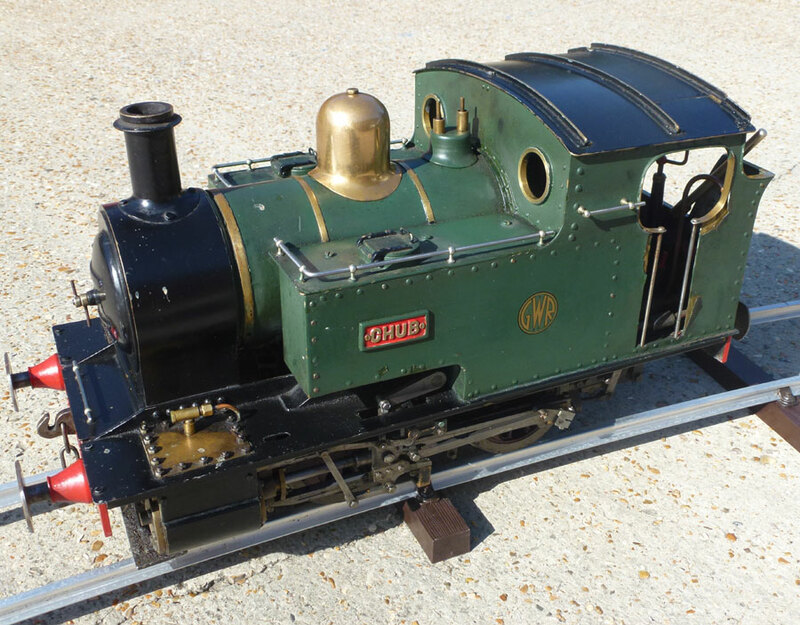 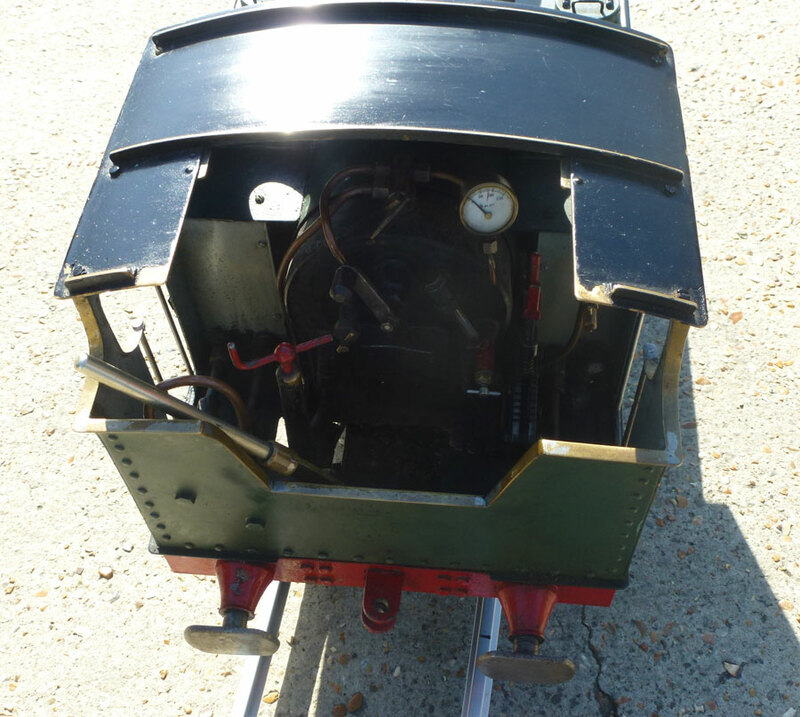 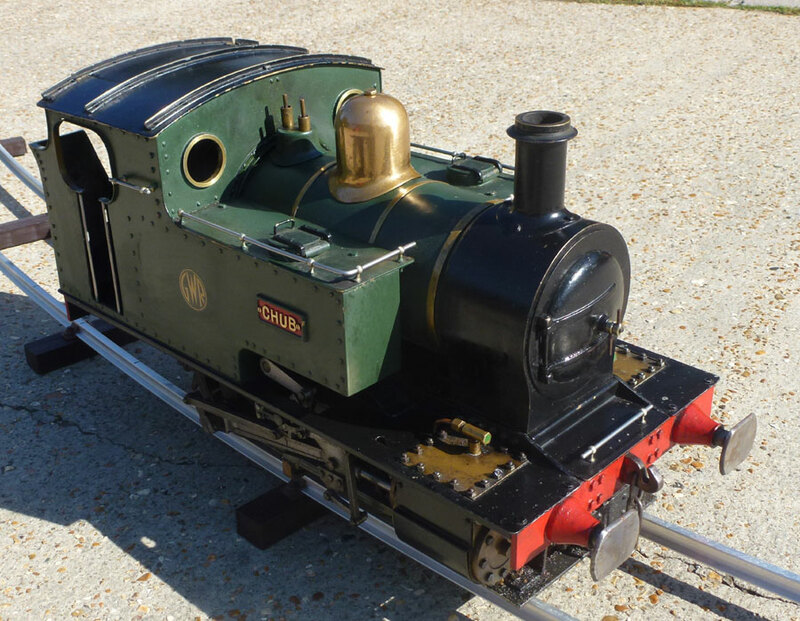 This is a 5" gauge Chub, which may be the smallest standard gauge 5" locomotive available. 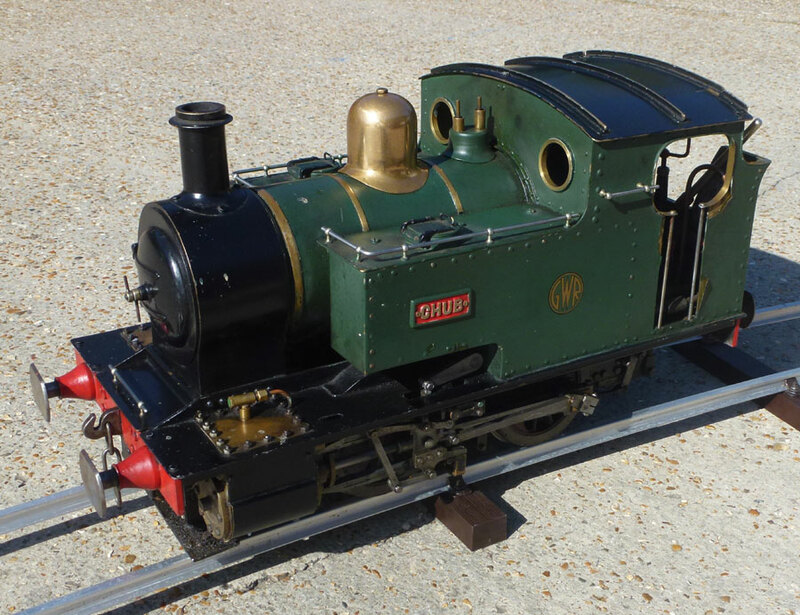 With a short wheelbase, this locomotive is ideal for tracks with tighter radiuses that can be restrictive to other steam locomotives. 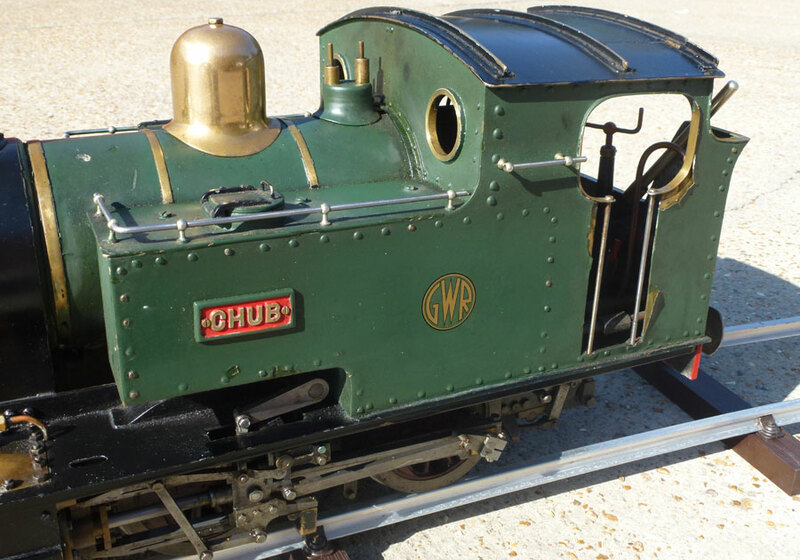 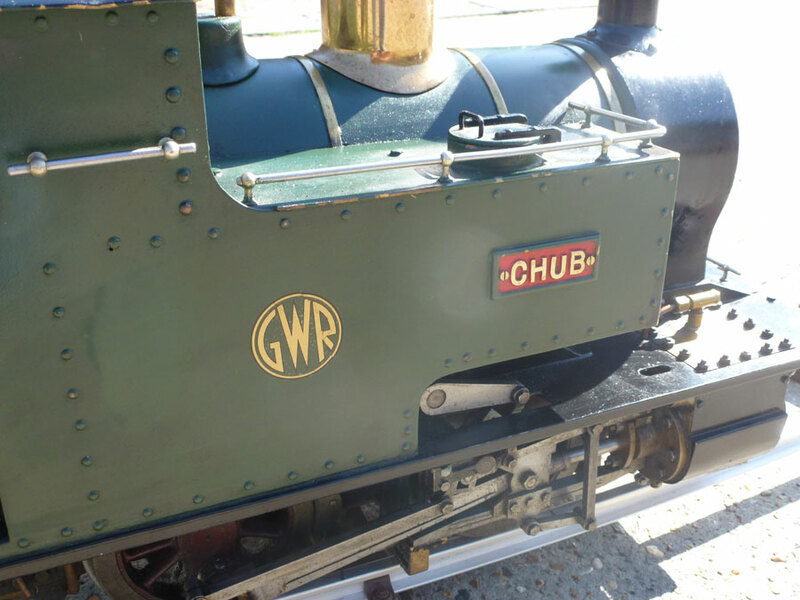 A nicely detailed 0-4-0 tank engine completed in GWR livery. 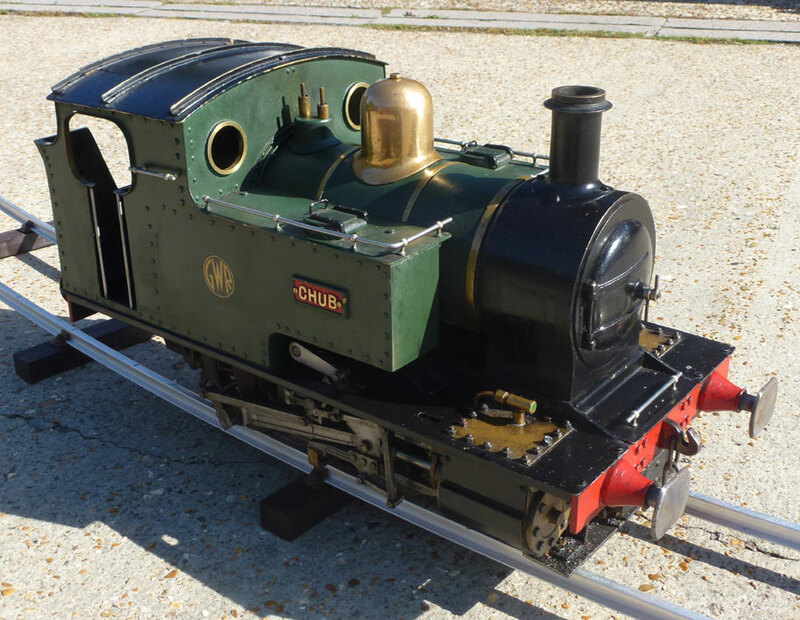 A real little workhorse should pull up to 4 people over level ground, making it ideal for small garden railways.